USAC issued Wave 40 on Friday, January 11th, for $65.8 million and included funding decisions on a number of long-pending fiber applications. Cumulative funding as of Wave 40 is $2.09 billion. The FY 2019 administrative window will close at 11:59 p.m. EST on Tuesday, January 15th. At that point EPC entity profiles will be locked for the duration of the Form 471 application window. The Form 471 application window will open at noon EST on Wednesday, January 16th, and will close at 11:59 p.m. EDT on Wednesday, March 27th. This will be the third week since the expiration of USAC’s longstanding Business Process Outsourcing (“BPO”) contract with Solix on December 31st, and Maximus Federal Systems, USAC’s new contractor, assuming responsibility for application, post-commitment, and invoice review processing. Just before the end of 2018, USAC sent emails to many applicants advising them that those with pending forms and requests not resolved by the end of the year would be reassigned to new reviewers no later than February 1st. Last week, USAC reiterated the February 1st reassignment goal and indicated that applicants so affected would then receive more detailed information identifying the new reviewers. In the interim, application inquiries are being sent to applicants with reviewer names and email addresses, but without telephone numbers (not yet permanently assigned). Applicants wishing to speak directly to their new reviewers should request call-backs via the reviewers’ email addresses. Those fondly remembering days dealing with Solix reviewers may be interested in knowing that many reviewers plan to remain in the E-rate world. We understand that 25-30 ex-Solix employees have been retained on a temporary or permanent basis with Maximus in similar roles, but that Solix is proposing its own transition — a challenging process involving a different skillset — from reviewing forms for USAC to offering E-rate consulting services to applicants (see PRNewswire Release). January 15 Close of the administrative window which permits applicants to update their EPC entity profiles. January 16 Opening of the FY 2019 Form 471 application window. January 28 Invoice deadline — or deadline for requesting a 120-day extension — for FY 2017 non-recurring services. The Consortium for School Networking (“CoSN”) issued its 2018 Annual Infrastructure Report indicating that most school districts (92%) are meeting the FCC’s short-term goal on broadband connectivity to provide 100 Mbps per 1,000 students. Further, more than a third (36%) of the districts are meeting the longer-term goal of providing 1 Gbps per 1,000 students — more than double the level from last year. That’s all great news and a good indication of E-rate’s impact. 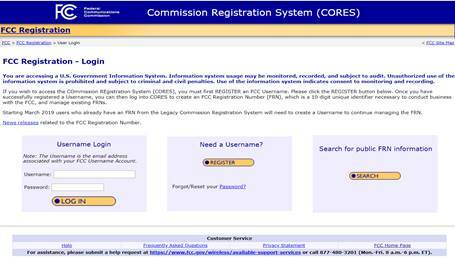 Requesting an FCC RN is a straight-forward process that can be accomplished without contacting the FCC. 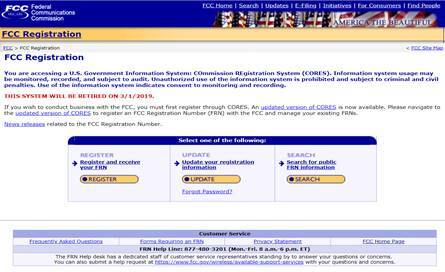 New E-rate applicants needing help in obtaining an FCC RN — a requirement for filing a Form 471 — can use the special helpline number (877-480-3201) but should recognize that this number will not likely be staffed during the government shutdown. It may be a stretch to tie this to E-rate, except perhaps through the National School Lunch Program, but it seems remiss not to mention the upcoming “No One Eats Alone Day” scheduled for February 15th. No One Eats Alone is one of three national programs organized by Beyond Differences designed to work with middle and high school students to promote social inclusivity within schools. Organizational partners include the New York City schools and the Sandy Hook Promise. Timely filing of necessary Form 470s no later than — and preferably well before — February 27th. Entering new contract records for FY 2019. The News Brief reminds applicants that USAC is open during the U.S. Government shutdown, and that all USAC deadlines remain in effect.